If you have previously visited the Garden, not only will you have noticed the array of beautiful flowers on display but, amid those blooms there are often robins and squirrels to be found playfully poised. Through becoming regular sighted residents of the National Botanic Garden of Wales, these squirrels and birds have become increasingly tame over time, now used to the sight of people passing through every day. In previous months, robins have populated the gardens with their birdsong. Despite being only small, robins sure do make up for it with their BIG personalities and fearlessness. Sometimes, when we open our office windows, a robin will appear and begin hopping around the office, parading its bright red breast across the room completely oblivious to anything around it. Often, when arriving at the office in the morning, I’ll find a robin sat at the desk coyly looking at me! Perhaps, a better place to go bird watching would be in the Great Glasshouse. Here, there is always a variety of birds scurrying across the floors or underneath the feet of customers of the Mediterranean Cafe, preying on a stray piece of cake crumb that’s fallen to the floor. You’ll even find birds migrating across to the Canary Islands from South Africa or one of our four other countries. Without forgetting our grey squirrels who are slightly more wary of visitors. These furry friends tend to be found running up and down one of the oak trees near the Stable block car park or even dashing alongside the surrounding roads to the Garden, chancing their lives every time a car passes. The grey squirrel is considered to be Britain’s most unwanted invader and sometimes regarded as a pest but there is something quite charming about the squirrels that roam the parkland. If you take a minute to observe their mannerisms; chattering away or scurrying across the forest floors tapping their feet among the leaves. Squirrels are also very intelligent mammals and grey squirrels can remember not only where they buried their caches but also how much is in them. 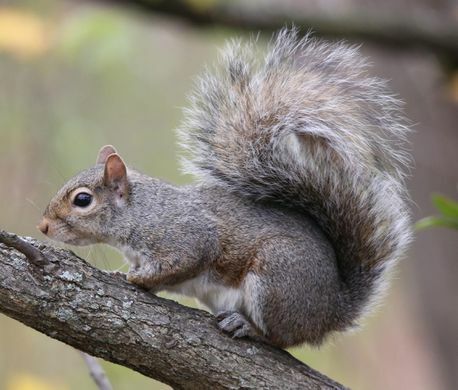 A study showed that squirrels will return first to the caches with the larger amounts of food. Today, is National Squirrel Day, so instead of regarding the grey squirrel as a pest, why not spend some time appreciating them! Squirrels use their tails as umbrellas when it’s raining!